Apparently tonight it will fall to -20C in parts of Britain, including in the South! 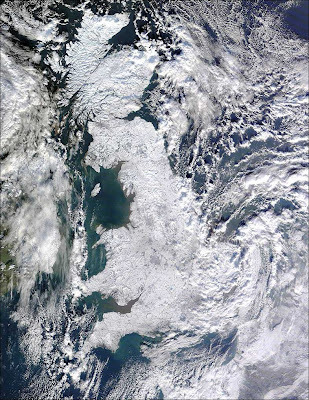 I came across this fantastic image below on the BBC website, taken by Nasa's Terra satellite on 7 January. Click here for a larger image.